Faculty of medicine at Benha University announces about holding the oral and practical exam of Histology at department of histology for the first and the second year students' on Thursday,30\8\2012 and Sunday,2\9\2012. Faculty of medicine administration announces about starting receiving appeals of Post graduate studies students for the1st part of doctoral in May 2012 from Tuesday, 31\7\2012 to Monday, 13\8\2012, noted that results on the faculty website: WWW.FMED.BU.EDU.EG. Faculty of medicine at Benha University has decided to extend registration of Post- graduate studies (diploma- master) to Wednesday, 15\8\2012. For inquiry, you can ask Prof. Dr. Mohammad El Shafey, the Faculty deputy of Post Graduate Studies. Prof. Dr. Tawheed Muafy, faculty of medicine dean invites you to attend Ifttar ceremony with the faculty member, workers and students on Monday, 6\8\2012 – 18th of Ramadan. Subscription fee 20 LE and the last date for booking is Thursday, 2\8\2012 at 01:30 PM in the Public relation office. In its meeting today, the Supreme Council of Universities (SCU) approved the rules of academic leadership elections. Three presidents of faculty members clubs (Cairo – Assiut- Suez) have participated in the meeting. 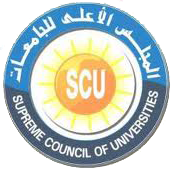 The Supreme Council of Universities (SCU) approved the timeline of the academic year 2012/2013. The study will be started on Saturday, 15/09/2012. The vacation of Eid ul-Adha will be from 25/10/2012 to 29/10/2012. The first term will be ended on Thursday, 27/12/2012. The Faculty dean congratulates the faculty members, staff and students for Ramadan's coming and hopes for all Muslims to spend the month with happiness and goodness. Faculty of Medicine's library at Benha University announces about its work times at the Faculty from 9:00Am to 4:00Pm. Mr. Atef Saad Sayed Ahmed has been elected as secretary of the Faculty of Medicine – Benha University after the reelections which held on Tuesday 03/07/2012 from 10:00AM to 12:00PM at the hall next to the Faculty Council. Reelections of the Faculty Secretary for all staff will be held on Tuesday 03/07/2012 from 10:00AM to 12:00PM at the hall next to the Faculty Council.